Click on the link below and fill out a short form to request your free sample. You should receive your Yogi tea sample in 2 -3 weeks. To receive your Success® Rice sample, follow the link below, enter your contact information and Success® Rice will mail you a coupon (maximum value of $2.69 each). Please allow approximately 4 to 6 weeks from date of request submission for processing and for receipt of coupon. 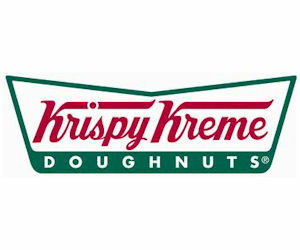 Join and become a Friend of Krispy Kreme to receive a coupon good for One free Original Glazed doughnut (valid at participating stores only). Sign up by clicking the 'Join' link at the bottom of the page. Get a FREE Cadbury Creme Egg at Kum & Go stores. Available in IA, KS, MN, MO, MT, NE, ND, OK, SD, CO, AR, WY and WI. Click on the link below and choose “Get Sample.” Fill out a short form and survey, and you can expect your sample to arrive in 4-6 weeks. Stop by your local Walmart this weekend for food samples! Click the link below and see the offered samples under “Upcoming Events.” Then, click on the sample you want to try and type in your zip code to find the local participating Walmart in your area. Click on the link below and “Like” your local Pinkberry store’s Facebook page. Bring a device or printout that shows your Facebook “Like,” and receive a free small yogurt with toppings at your local Pinkberry, anytime between 3-7pm. Offer valid only on February 6, 2014. No purchase necessary. Click on the link below and sign up for Godiva Rewards (it’s totally free!) and then go to your local Godiva store each month for a free piece of chocolate. Snag 6 FREE Pork Recipe Brochures! To get your free recipe brochures, simply click on one of the book links, then click where it says “Click Here to have us Mail you a Brochure” to have it mailed. Once you get the form, you can select which brochures you would like to receive. Text Snickers to 78787 for a “chance” to win a free Snickers Bar Coupon. It seems like most people are winning on this one though, maybe not as many people are texting their entries. If you don’t want to enter via text you can log on to their Facebook to enter.